I really like to thank Reservatory, from Lucky Psychic Hut blog, for this great great contribution. This is my fourth post about Sunny Black's Band which became, in 1968, Poly-Rythmo. 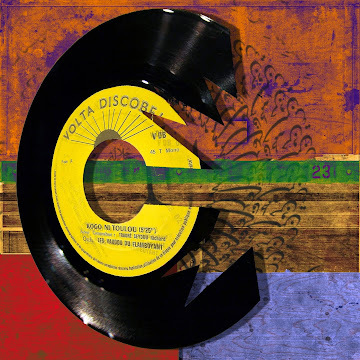 I invite you to discover the others EPs from Clément Mélomé's band here, here and here. 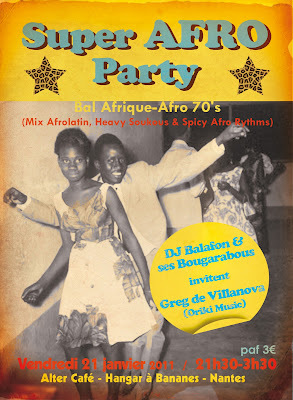 The rhythm is always the same during this period, bolero mixed with traditional Beninese rhythms. 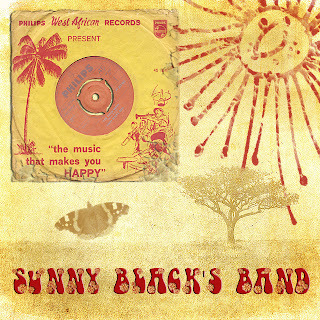 Je voudrais vraiment remercier Reservatory, du blog Lucky Psychic Hut, pour sa contribution et pour ce nouvel opus du groupe Sunny Black's Band qui deviendra Poly-Rythmo en 1968. Je vous invite à découvrir les autres 45 tours du groupe de ce groupe fondé par Clément Mélomé ici, ici et ici. 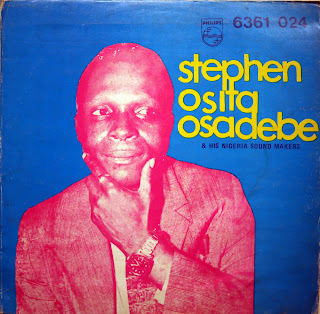 For a very long time I wanted to share the remedies of the greatest doctor of music,Chief Stephen Osita Osadebe. 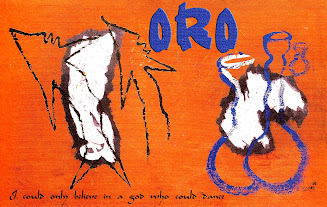 They say he has composed over 500 songs, so I think you will herad more about Osadebe on Oro. Excerpts from the album wereposted on the awesome blog Likembe blog 3 years ago. Today, I propose the whole album. For those who don't know the doctor yet, here is a biography take from the Biochem Nagoya blog. "Chief Stephen Osita Osadebe is one of the few bandleaders from the 1960s' "Golden Age" of Nigerian danceband highlife still active on the music scene. He was born in March 1936 in Atani, near the Igbo trading city of Onitsha. According to the liner notes by Chuzzy Udenwa of the compilation CD, "Sound Time," Osadebe's musical apprenticeship began with E.C. Arinze's Empire Rhythm Orchestra in the 1950's, and he soon made a mark with his first record, "Adamma," in 1958. Another source (Yahoo! 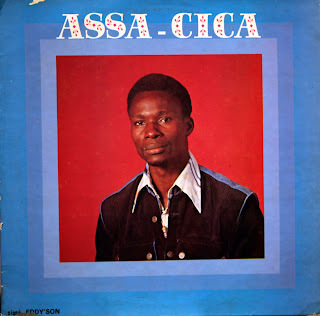 Music Australia & NZ) claims that Osadebe got his start with Stephen Ameche's band in 1958 and that his first recording was "Lagos Life Na So So Enjoyment" with trumpeter Zeal Onyiya's band in 1959. 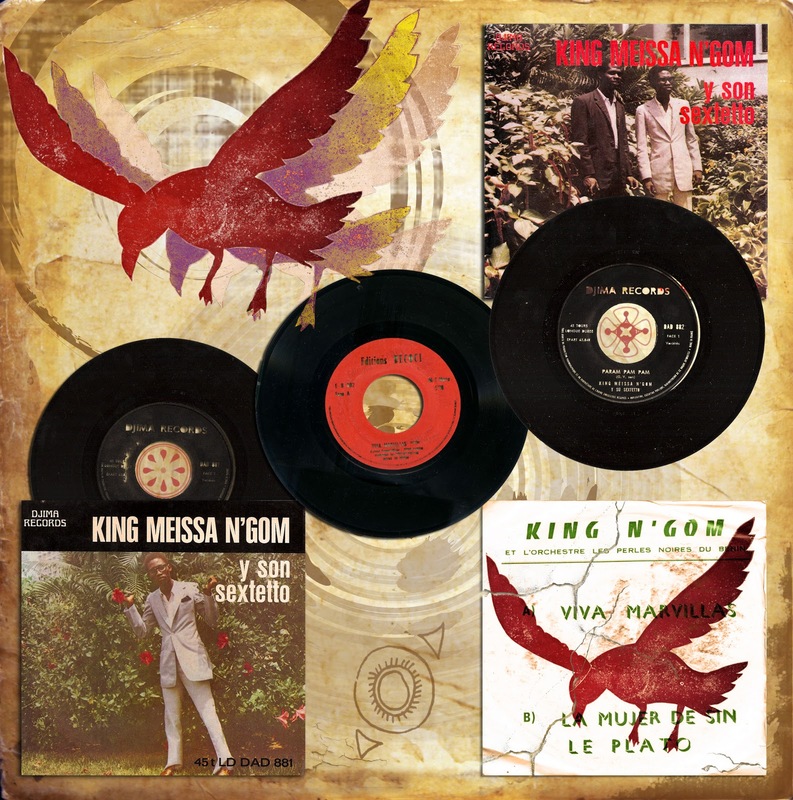 Regardless of the exact date of his musical debut, Osadebe's career dates to the 1950's there are many 45s, EP's, etc. releeased prior to 1972 which are not listed here. One or two LPs issued after 1972 may also not be listed. Nonetheless, this is the most complete discography of Chief Stephen Osita Osadebe currently available. Occasionally LPs do not have a formal "title". In such cases they are identified by the lead track on side 1. 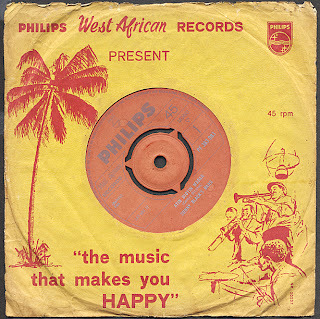 "Philips" & "Polydor" refer to the Nigerian affiliates of those labels. -- John Beadle. 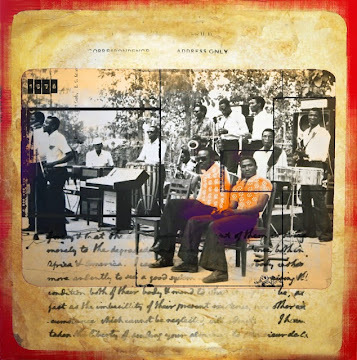 "Osadebe succeeded in breaking away from the conventional big band format established by the pioneers of the music, a format that favoured melodic progressions that were in the common meter, church hymnal tradition. He succeeded in completely transforming highlife into the call-and-response pattern of African music. Osadebe was only a singer who also played claves, but his role manifested itself in all the areas of highlife, composing, arranging and providing band leadership. He began his career from Empire Hotel, Idioro, Lagos, a club owned by Chief Kanu; which provided employment and residency for almost all the early highlife musicians. 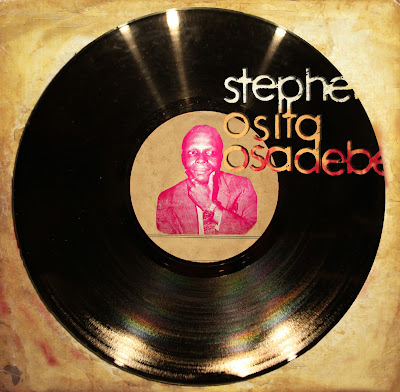 Osadebe was a sideman with Stephen Amechi and his Rhythm Skies." "Two personalities were greatly respected and sought-after during those highlife days - the vocalist and the guitar player. The guitarist provided palm wine chords which held the orchestra together and also indulged in interminably long guitar solos that kept dancers on the floor for long periods of time. The vocalist projected the entire band and remained the main focus. Osadebe was one of the leading singers on the scene - along with Joe Mensah, Tunde Osofisan, Godwin Omabuwa. But the edge Osadebe had over all of them was that he was a prolific composer; and for this reason, he was in great demand." His carrier shifted from the Empre Hotel to Central Hotel. "He moved from Empire Hotel under the leadership of Stephen Amechi to Central Hotel, Yaba. Even though he was not the leader of the band there was a special arrangement between him and Chief Osuala, the proprietor of the club to concede this position to trumpet player. Eric Onugha, a much older musician who could read music. Osadebe did all the singing and composing." Idonije continues: "The situation which however elevated Osadebe musically in terms of giving him the confidence that he needed as a musician was his collaboration with trumpet player Zeal Onyiia of Vic Yem Ofum fame. Zeal was one of the pioneers of highlife who had fruitful stints with Bobby Benson and even E.T. Mensal and his Tempos Band. He also co-led the Rhythm Aces with Spike Ayanko upon leaving the Tempos Band. Besides, Zeal was the strongest trumpeter in West Africa. 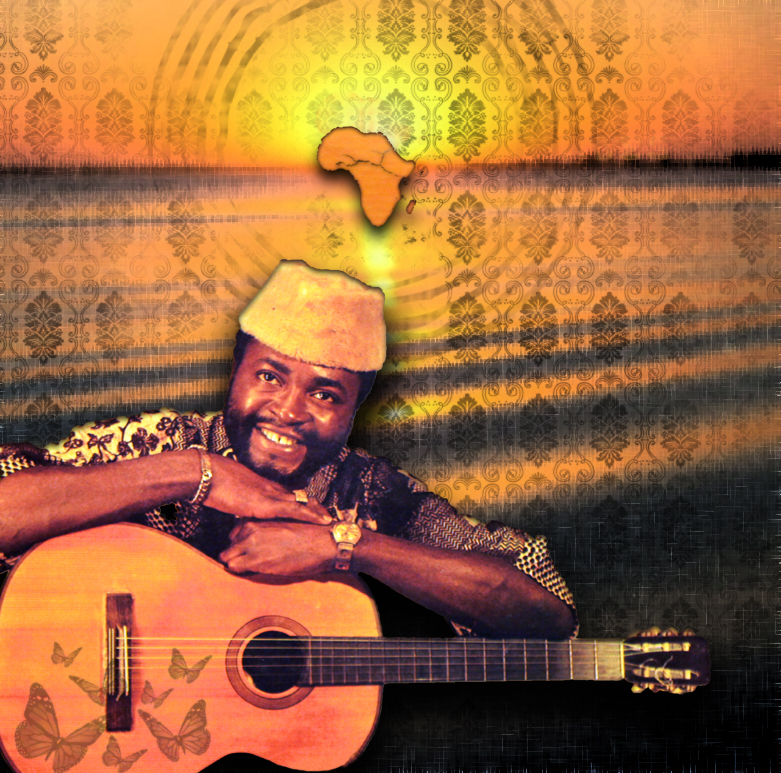 Playing with zeal was an eye opener and a landmark in Osadebe's musical career. He learnt all about the essence of melodic progressions, poise, dynamics and big band arrangement technique - qualities, which manifested themselves in the band's hit single oyin lotan, which was composed and vocally projected by Osadebe himself." He broke away from being a sideman and went his separate way around 1964 with the release of One pound, no balance, which was a big hit. Quite significant in his career, this song dictated for him the way in which his music should go." En plein cœur de l'hiver, voici une nouvelle édition pour un plongeon rétro dans l'ambiance moite des maquis et des clubs de Dakar à Abidjan, de Porto-Novo à Kinshasa. Ne cherchez plus, aucun vaccin n'existe pour se prémunir de cette contagion dansante, entrainant tremblements syncopés, palpitations, et la liste des symptômes est longue … alors un seul remède face aux rythmes incendiaires et mélodies écorcheuses : se laisser emporter dans ce va et vient ! Amoureux des orchestres africains, dj Balafon est accompagné par deux amis percussionnistes, Sebah et Pape M'Baye pour une sauce rythmique live épicée, et de Hawa (danseuse) pour ambiancer la piste. Les sélections musicales métissées de Greg de Villanova, spécialement conçues pour la piste de danse, font feu de tout bois et mêlent les rythmes tropicaux et festifs d’Amérique latine, des Caraïbes et d’Afrique. Sensualité, originalité et éclectisme pour une fusion parfaite entre highlife ghanéen, salsa portoricaine, soukous congolais et compas haïtien. Documentariste et collectionneur de musique béninoise. Alors tenez-vous prêts, l'Afrique vous appelle … saurez-vous relever le défi ? Thank you to DJ Balafon for this rare and excellent mandingo record. 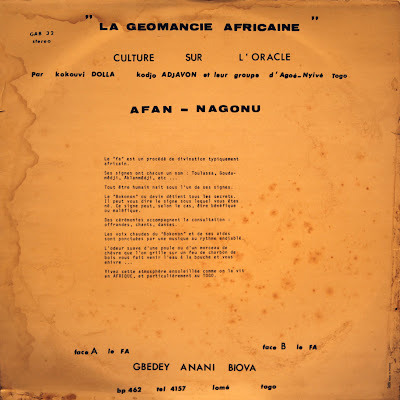 It was edited by an Ivory-Coast label during the seventies, I suppose, and recorded in Benin at Satel studios. The arrangements are signed by the great guitarist, Edouard Ouedraogo, and his orchestra Yamb Yele, but we can also hear Ignace de Souza on trumpet. This gives a cocktail of North-South peacfull music that should be heard in Ivory-Coast. I have absolutely no informations about Toe Niongui, called "People's child", do you ? 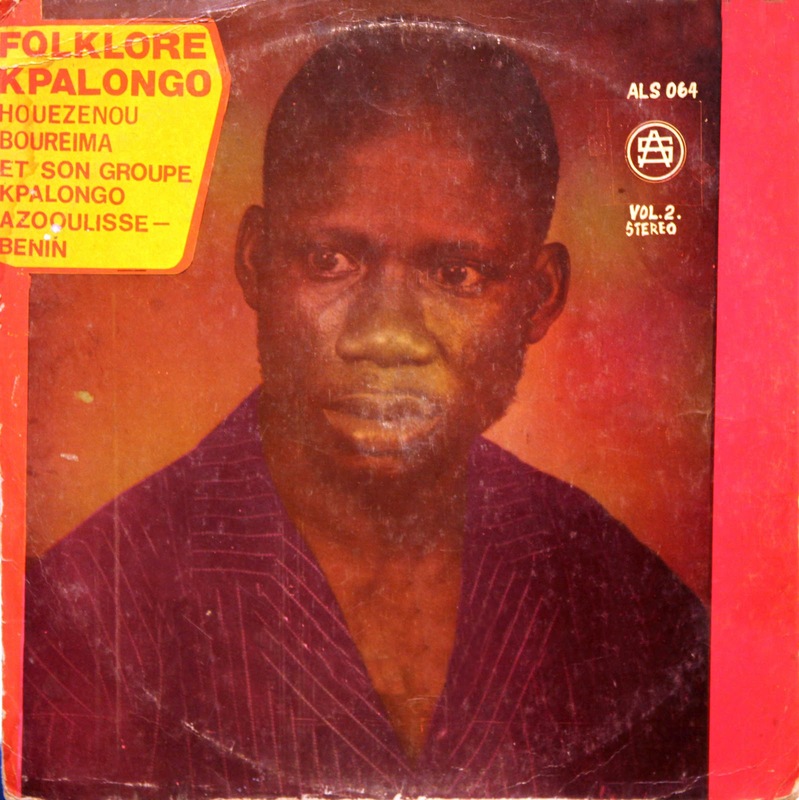 Merci à DJ Balafon pour cet album mandingue, rare et excellent. Cet album, édité par un label Ivoirien, a été enregistré au Bénin dans les studios Satel. Aucune idée de l'année, je dirais milieu des années 70. Les arragements sont signés par le grand guitariste Edouard Ouedraogo et son orchestre Yamb Yele et l'on retrouve aussi Ignace de Souza à la trompette. Cela donne un cocktail musical Nord-Sud pacifique qui devrait être entendu en Côte d'Ivoire... Je n'ai aucune information sur Toe Niongui, dit "l'enfant su peuple", et vous ? 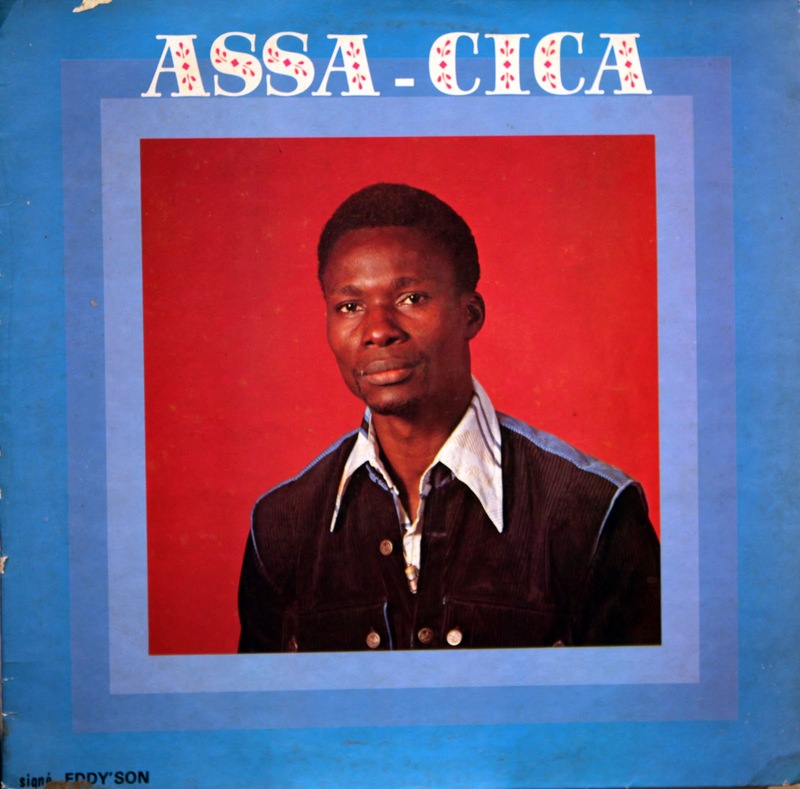 This album from Assa Cica is the latest that I know. If you don't already know him, I invite you to visit these link. His best album, also one of the best Poly-Rythmo's album, can be found on this page. 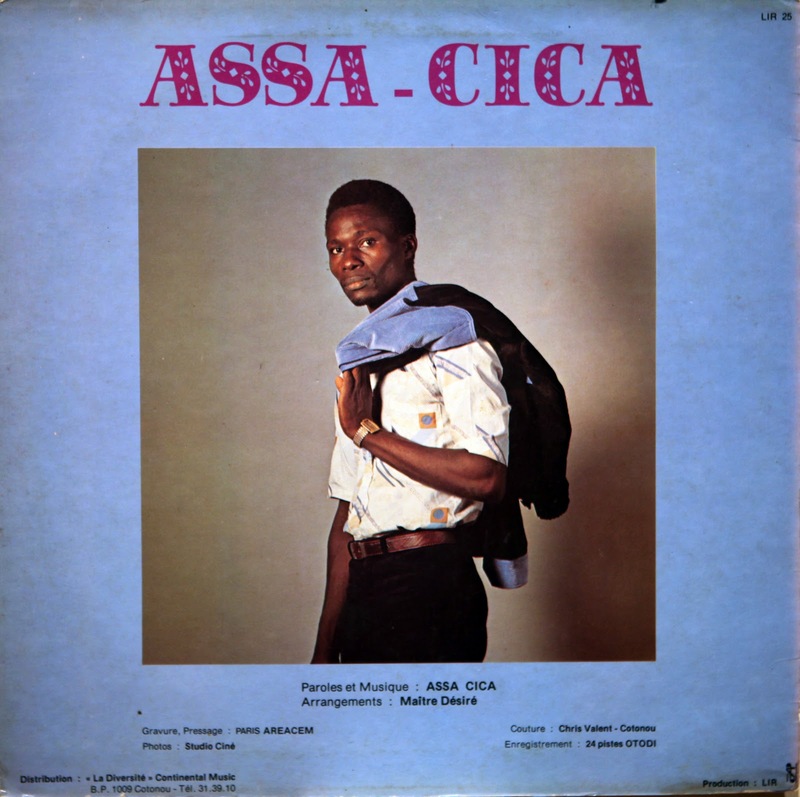 On this album, edited by Libert label, the style is already part of the 80's disco influenses, but Assa Cica adopt a slower pace. Cet album d'Assa Cica est le dernier que je connaisse. Si vous ne connaissez pas déja ce chanteur je vous invite à consulter ces liens. 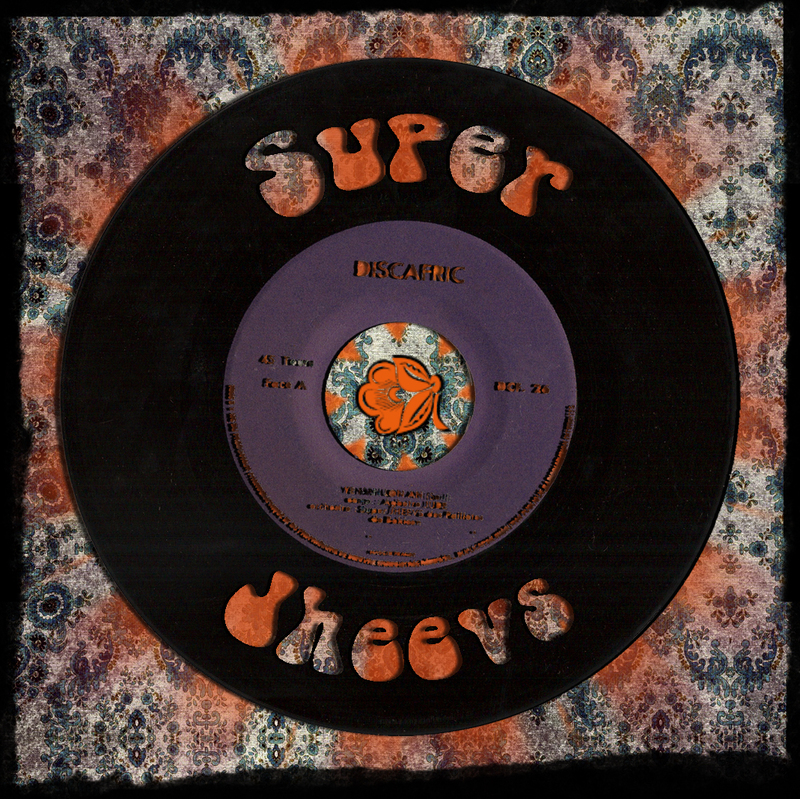 Son meilleur album, parmi aussi un des meilleurs de poly-Rythmo, peut être trouvé sur cette page. Sur cet album édité par Libert, le style est déjà ancré dans les années 80 et ses influenses disco. Mais Assa Cica adopte un rythme plus lent et des slows charmants. Here is a rare EP from Poly-Rythmo, recorded before the 1975's revolucion. 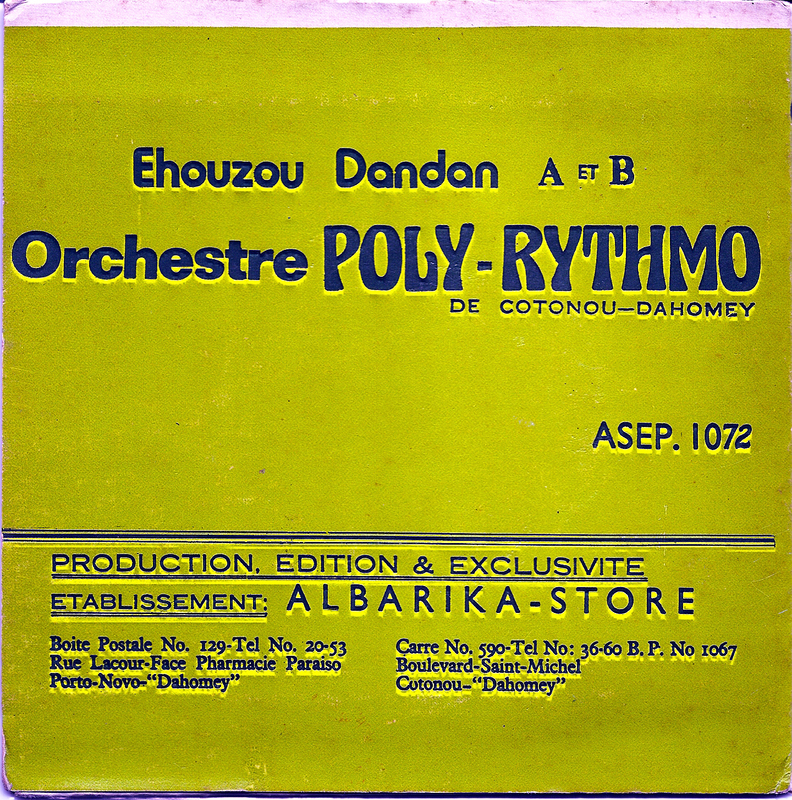 "Ehouzou Dandan" is very nice soukous tune on both sides (the B-side is mostly instrumental). It is a composition from Clément Mélomé, the "chef d'orchestre". Voici un rare 45 tours des Poly-Rythmo, enregistré avant la révolution de 1975. "Ehouzou Dandan" est un superbe morceau soukous sur deux faces (la Face B est plutôt instrumentale). C'est une composition de Clément Mélomé, le leader. I post today a gift from Jammagica blog, the second album from the Guelewars from Gambia. A band which plays afro-fusion, jazz, pysch, funk and mandingo music cocktail sprinkled with senegalese sabar and tama percussions. 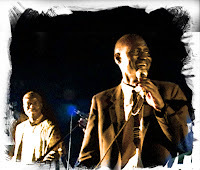 The singer and composer is Moussa N'Gom and his music is really singular. I also love the psychedelic cover. 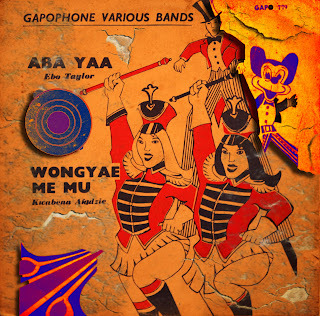 Je poste aujourd'hui un cadeau du blog Jammagica, le second album des Guelewars de Gambie, un orchestre au puissant cocktail Afro-fusion, psuch, funk, jazz, mandingue arrosé de percussions sénégalaises tama et sabar. Le chanteur et compositeur est Moussa N'Gom et sa musique est vraiment singulière. J'aime aussi la pochette complètement psychée. This album is really special because it brings Honre Avolonto, Poly-Rythmo and Danialou Sagbohan, at musical direction and battery. 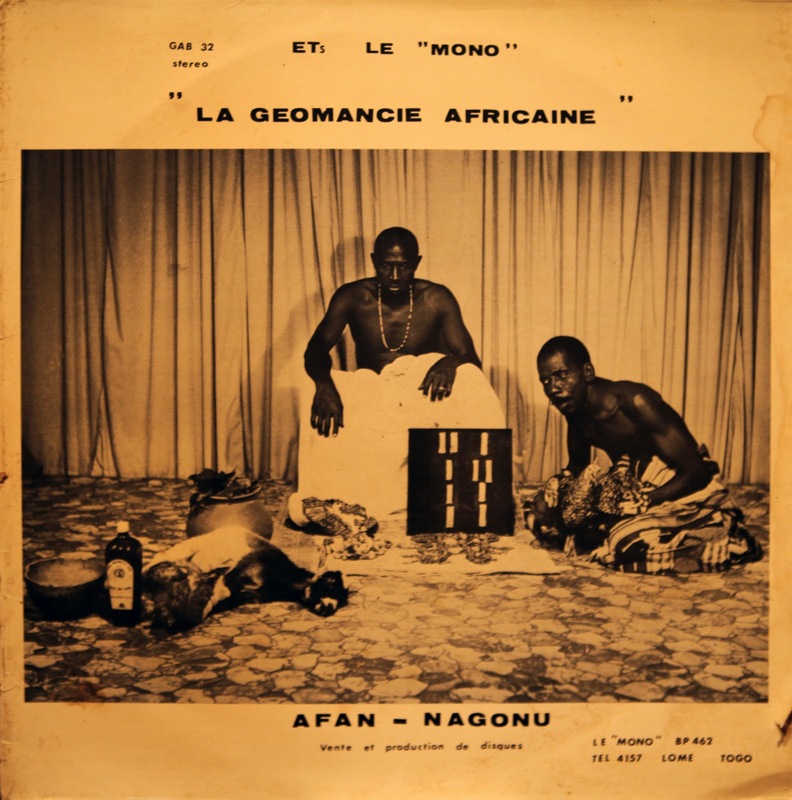 In this album recorded in 1983, we find the sublime afrobeat tune "Tin Nin No", sung by the anonymous Miguel, who sells the merits of sodhabi, the local and powerfull palm alcohol. The other title from this B-side, a sad and beautiful melody is sung by the sad voice of Lohento Eskill. 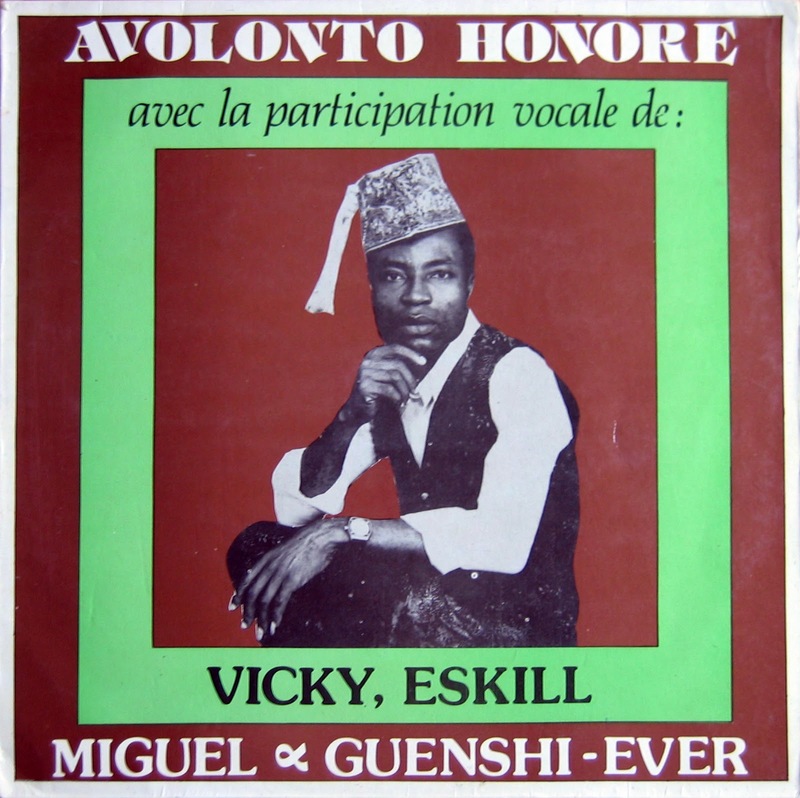 Side A is sung by Vicky Amenoudji and Guenshi Ever, a beninese singer. 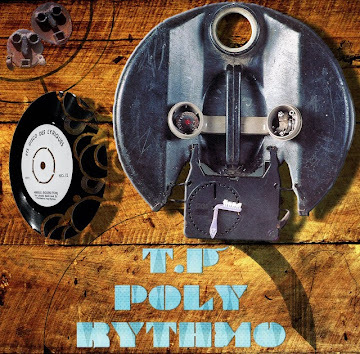 Poly-Rythmo is not complete, because at this time, the band lost its two famous members, guitarist "Papillon" ("butterfly") and drummer Bernard Zoudegnon. 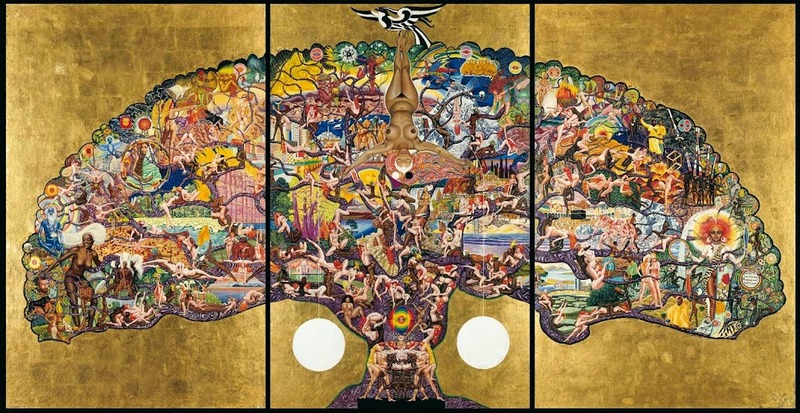 Sagbohan resumes torch, with restraint and sobriety, and appropriates all the rhythms of that time. 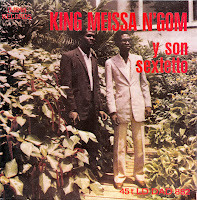 A brillant album, offered by Afrofever blog, whom I think warmly. Cet album est vraiment spécial car il réunit Honoré Avolonto, Poly-Ryhtmo et Danialou Sagbohan, à la direction musicale ainsi qu'à la batterie. Dans cet album enregistré en 1983, on trouve le sublime morceau afrobeat "Tin Lin Non", chanté par Miguel, qui vente les mérites du sodhabi, le puissant alcool de palme. L'autre morceau de cette face B, un slow triste et prenant, est chanté par Lohento Eskill. La face A est chantée par Vicky Aménoudji et Guenshi Ever, une chanteuse Béninoise male connue. 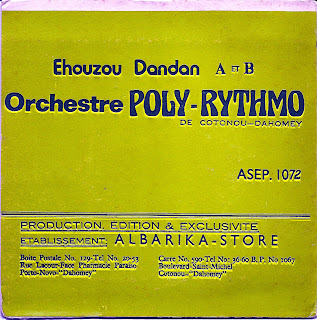 L'orchestre Poly-Rythmo n'est pas au complet puisqu'il a perdu ses deux membres marquants, le batteur Bernard Zoudegnon et son guitarite, "Papillon". Sagbohan reprend le flambeau, avec retenu et sobriété, et s'aproprie tous les ryhtmes de l'époque. Un album brillant qui nous a été offert par le blog Afrofever, que je remercie très chaleureusement. This is a 45 rpm, released in 1974, by an unknown band for me. 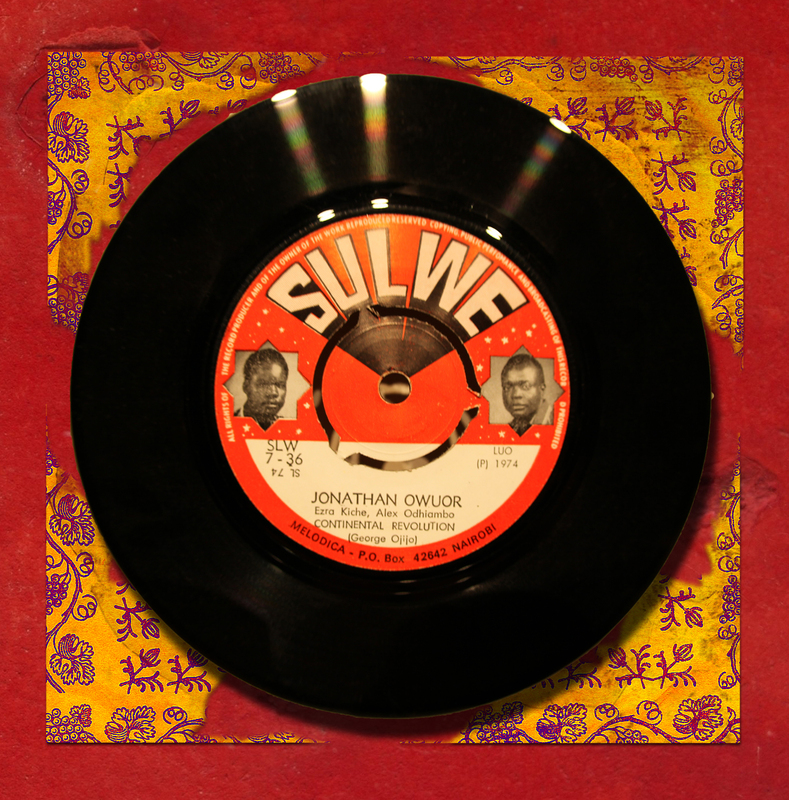 No much informations except that the Sulwe label used to produce famous Kenyan bands. Continental Revolution seems to be led by George Ojijo, the composers, Ezra Kiche and Alex Odhiambo. Voici un 45 tours, produit en 1974 , par un orchestre inconnu pour moi. Pas beaucoup d'informations si ce n'est que le label Sulwe a produit les meilleurs orchetsres Kenyans. 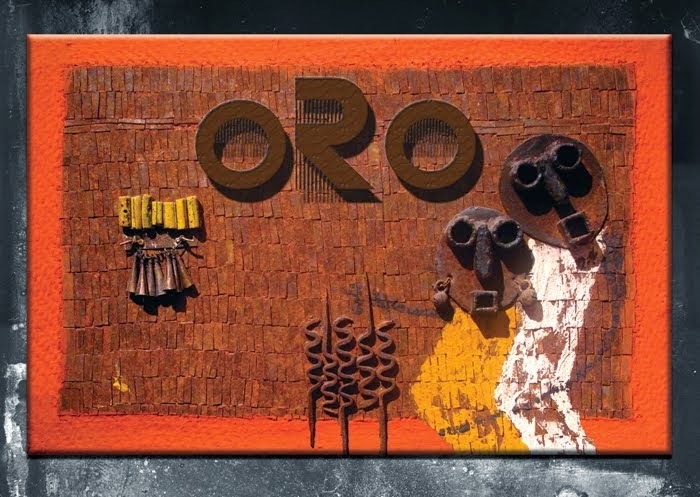 Continental Revolution semble est dirigé par George Ojijo, et ces deux titres composés par Ezra Kiche et Alex Odhiambo. 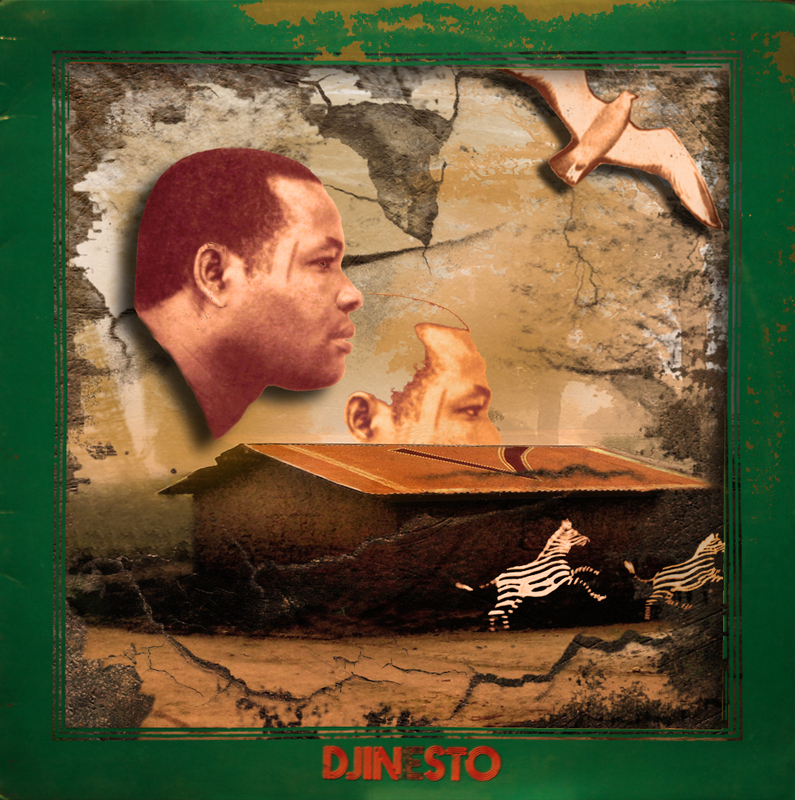 Born in 1939 in Abomey, Nestor Hountondji alias Dji-Nesto si coming from a family of musicians. 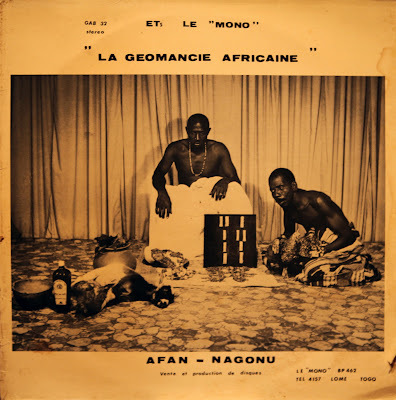 His father, Tokpé Hountondji was already a famous singer, known to play the rhythm Assida, a rhythm from the Agbadja style, of Adja origin in West Benin, and which disappeared from traditional repertory of Abomey. April 15th, 1958, Nestor Hountondji makes his first entry on stage and becomes the most coveted singer in Porto-Novo. He integrates the orchestra "Daho-Melo" in 1961 and records, in 1962, his first titles: "Dewe We Aihon" and "Avowewe". Nestor manages to bind two activities: musician and police officer, but the release of his first record offers disciplinary actions to him. Thus, he integrates the "National Jazz" band which will become the "Volcans de la Capitale". But Djinesto also passed by the "Renova Band" as well as the "Black Dragons". In short, a singer, Saxophonist player, author and composer unforgatable in Benin. Né en 1939 à Abomey, Nestor Hountondji alias Dji-Nesto est issu d'une famille de musiciens. 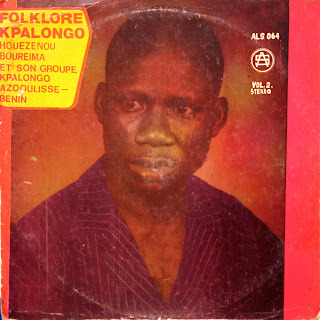 Son père, Tokpé Hountondji était déjà un célèbre chanteur, connu pour jouer le rythme Assida, un rythme du style Agbadja d'origine Adja, à l'Ouest du Bénin, et qui a totalement disparu du répertoire traditionnel d'Abomey. Le 15 avril 1958, Nestor Hountondji fait sa première entrée sur scène. A la suite de sa préstation, il devient le plus convoité des chanteurs à Porto-Novo. 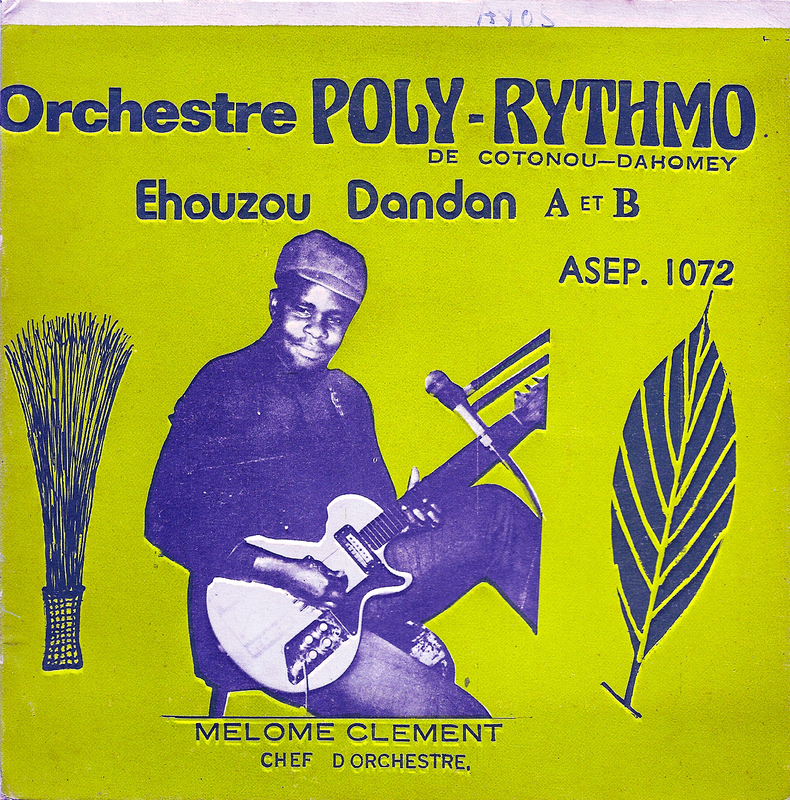 Il intègre l'orchestre Daho-Melo en 1961 et sort son premier 45 Tours en 1962 avec les titres "Dèdè Wè Aihon" et "Avowéwé". Nestor arrive à lier deux activités: musicien et gendarme, mais la sortie de son disque lui a valut des sanctions disciplinaires. 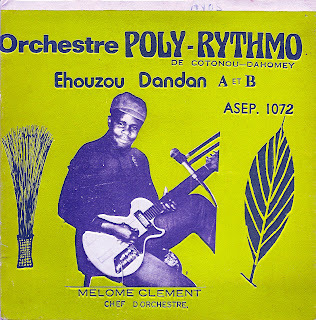 Il est donc contraint de rejoindre le groupe "National Jazz du Dahomey", orchestre de la gendarmerie qui deviendra un à la fin des années 70s "Les Volcans de la Capitale". Mais Nestor Hountondji est aussi passé par l'Orchestre Renova Band d'Abomey ainsi que l'orchestre Black Dragons. Bref un chanteur, saxophoniste, auteur et compositeur incontournable au Bénin. Cornaire Salifou Michel is a singer and guitarist from Benin who recorded his first title, "Amanicer", in 1975, with the orchestra "Les Perles Noires" (The Black Pearls), a band known for its Afro-Cuban influenses. "Amanicer" is a great tune with a heady guitare. 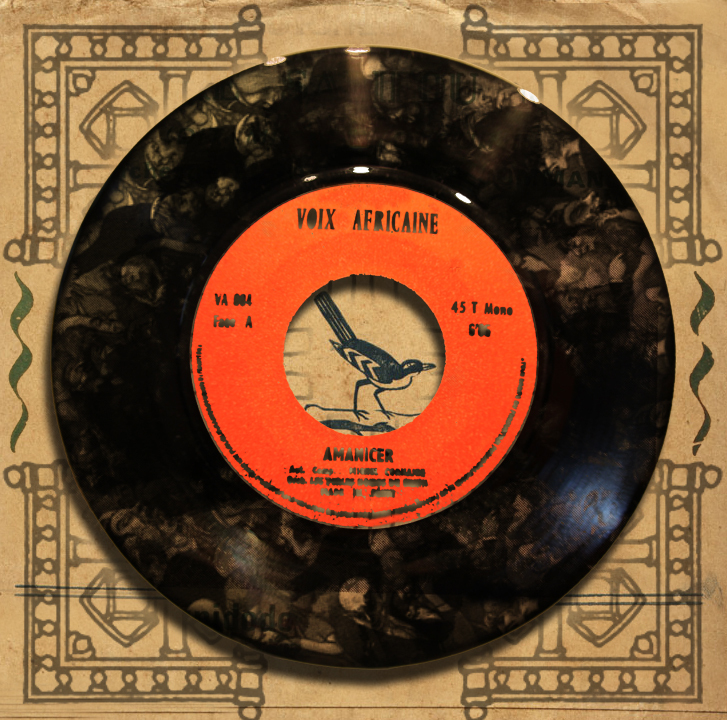 Cornaire Salifou Michel est un chanteur et guitariste béninois qui enregistre son premier titre "Amanicer", en 1975 avec l'orchestre Les Perles Noires qui est connu pour ses influenses Afro-Cubaines. "Amanicer" est un superbe morceau griffé de riffes entêtants. For two years Cornaire Salifou Michel, also known as "Miguelito Cuin", remains silent. In 1977, he records with the orchestra "El Rego and his Commandos" in a new style, hybrid, traditional inspired, with a fantastic organ, greatful. The label "Etape du Voyageur" ("stage traveler") is unknown for me but rich in meaning. This records has been posted by the wonderful blog Worldservice and this is its link (thank you for him). Pendant deux ans Cornaire Salifou Michel, qu'on appelle aussi "Miguelito Cuini", chanteur de charme, reste muet. Il revient dans un nouveau style avec l'Orchestre d'El Rego et ses Commandos. Une musique hybride et inspiré que j'adore. Le label "Etape du Voyageur" est inconnu pour moi mais riche de sens. Ce disque a été posté par le merveilleux blog Worldservice et c'est son lien que je vous donne (merci pour lui). Emmanuel Eboa Lottin was born in Douala in 1942 from the reverend Adolphe Lottin, renovator of the Cameroonese Baptist Church, and who composed nearly 400 religious songs. Eboa Lottin sings from his childhood. He began with the harmonica then the guitar. Designer, wood sculptor, Eboa is a self-taught musician. "I'm a singing jourbalist", he likes to say. He likes plaid and flowers shirts, quiet, good food and loves palm wine that he calls "the saliva of God". March 1967 was the start of an eventful career. First winner of the international VICKS STARS, he arrived in Paris and signed an exclusive contract with Philips. His first titles were: "Matumbi-Matumbi", "Longa Da", "Besombes" and "Martin", will meet a real success. In 1970, Eboa Lottin experienced his best tours in Centra Africa and especially in Zaire and Gabon. Then he went to the conquest of West Africa. In January 1974, Aziza firm made him known to the Togolose and Beninise public. One year later, he signed a contract with the Satel label of Benin. This album, on Satel, includes songs recorded between 1975 and 1976 with the glorious Poly-Rythmo. It is rich of many rhythms, makossa, rumba, bosanova, gospel, jerk, slow, finally, enough to please everyone. Emmanuel Eboa Lottin est né à Doula en 1942, du révérend Pasteur Adolphe Lottin, rénovateur de l'Eglise Baptiste du Camerounaise, qui composa près de 400 cantiques. Eboa Lottin chante dès sa plus tendre enfance. Il apprend l'harmonica puis la guitare. Vernisseur décorateur, sculpteur sur bois, Eboa Lottin est un musicien autodidacte. "Je suis un journaliste chantant", se plait-il à dire. Il aime les chemises à carreaux et à fleurs, le calme, la bonne cuisine, adore le vin de palme qu'il appelle "la salive du Bon Dieu". Mars 1967 fut le départ d'une carrière mouvementée. Premier lauréat du concours international Vicks Vedettes, il arrive à Paris et signe un contrat d'exclusivité avec Philips. Ses premiers titres: "Matumba - Matumba", "Da Longo", "Besombe" et "Martine" connaîtreont un réel succès. 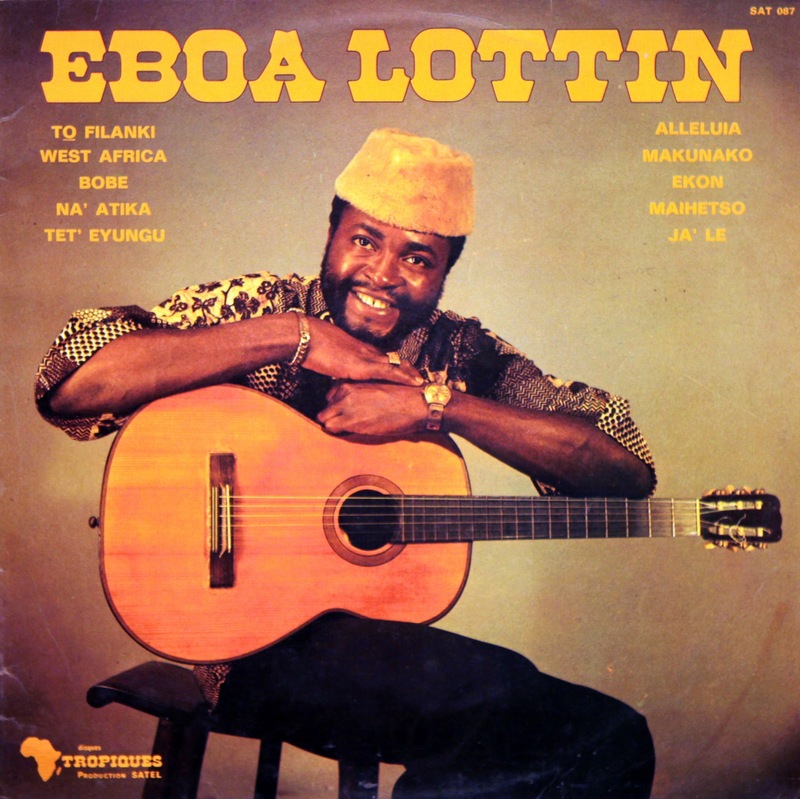 En 1970, Eboa Lottin connaitra ses meilleurs souvenirs de tournées en Afrique Centrale et surtout au Zaïre et au Gabon. Puis il part à la conquête de l'Afrique de l'Ouest. En Janvier 1974, la firme Aziza le fit connaitre au public Togolais et Béninois. Un an plus tard, il signe un contrat avec le label Satel du Bénin. Cet album qui regroupe des morceaux enregistrés entre 1975 et 1976 a été enregsitré avec l'orchestre Poly-Rythmo mélane tous les rythmes, makossa, rumba, bosanova, gospel, jerk, slow, enfin assez pour plaire à tout le monde. 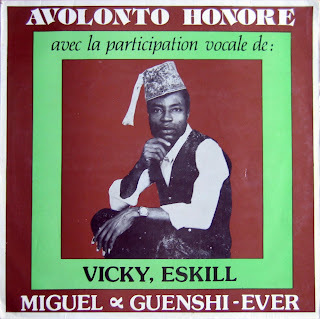 La face A de ce disque a été éditée par le label Analog Africa, puis relayée par Radiodiffusion Internationaal, mais les "Super Jheevs des Paillotes de Bohicon" n'ont jamais été présentés sur Oro. Voici donc tout le 45 Tours original, édité par le label Discafric et pressé en France au début des années 70s. On est dans du James Brown pure sauce agouti. 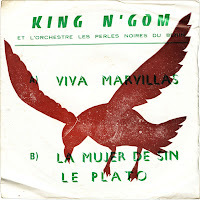 The A side of this record has been recently edited by Analog Africa, then relayed by Radiodiffusion Internationaal, but the "Super Jheevs des Paillotes de Bohicon" have never been featured on Oro. So here is the original and all EP edited on Discafric label and pressed in France. I think it has been recorded in the early 70s. 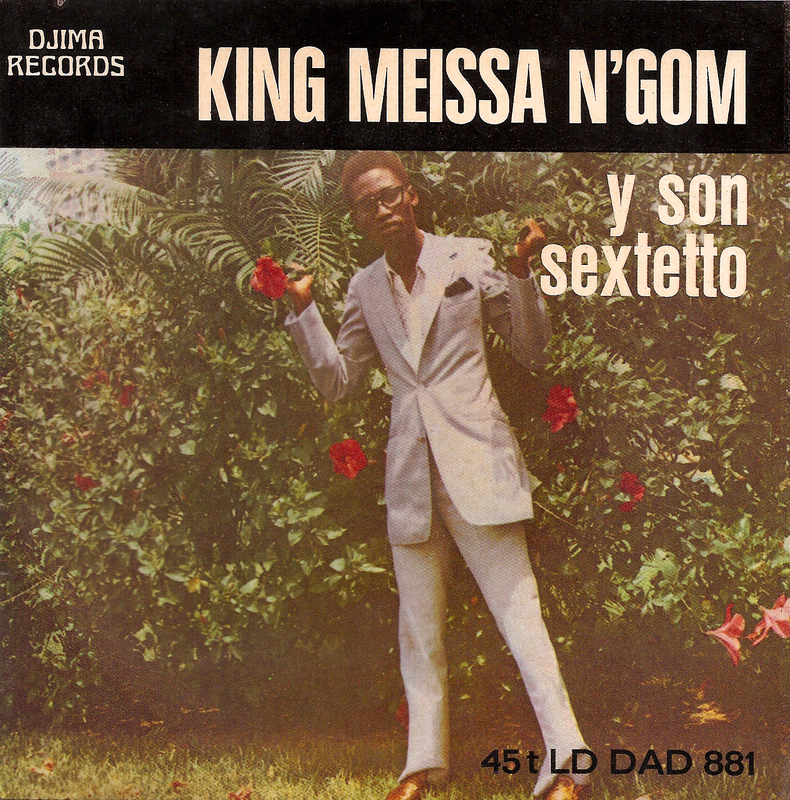 King Meissa N'Gom is a Senegalese salsero. His father was a very famous politician. His brothers and sisters have done great studies like him who went to the "Ecole Normale Supérieur" (Superior High School). But his love for music made him become the black sheep of his family. He began his career during the end of sixties and recorded several Afro-Cuban titles sung in Spanish. In 1975, he went to Benin where he had to play at the Appolo club, a legendary live music club in West Africa. He had to stay three days in Cotonou, he will stay three years and become a real star, playing with Danialou Sagbohan's band, the Djiki band, and recording few tracks. Then he left Benin for Mexico where he remained ten years, singing salsa in a hôtel. 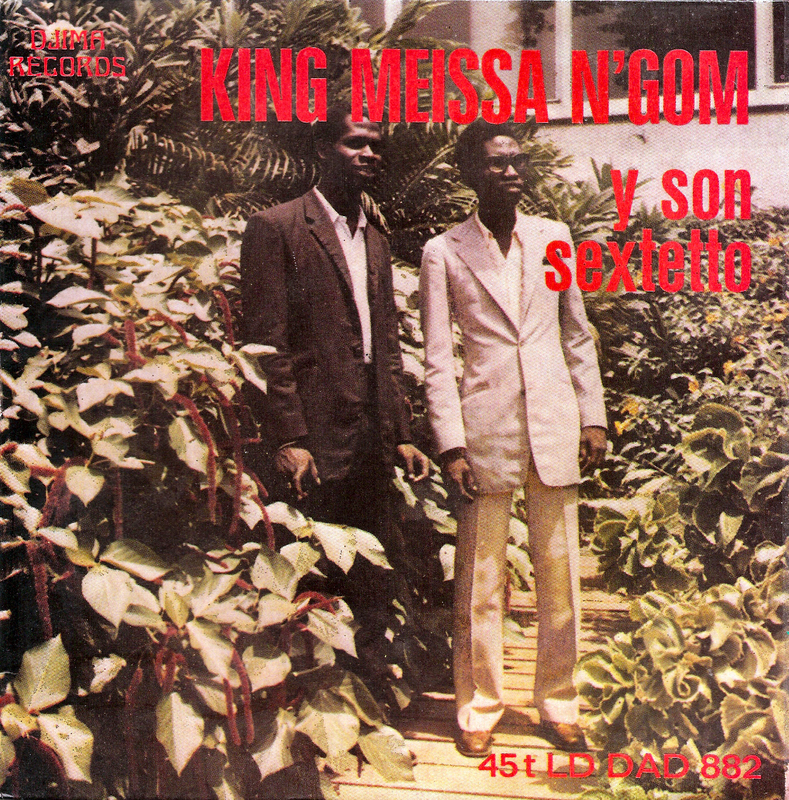 King Meissa N'Gom est un salsero Sénégalais issu d'une très grande famille de politiciens. Tous ses frères et soeurs ont fait de grandes études tout comme lui qui fait l'école Normale Supérieure en France. Mais son amour de la musique le fait devenir le mouton noir de la famille. 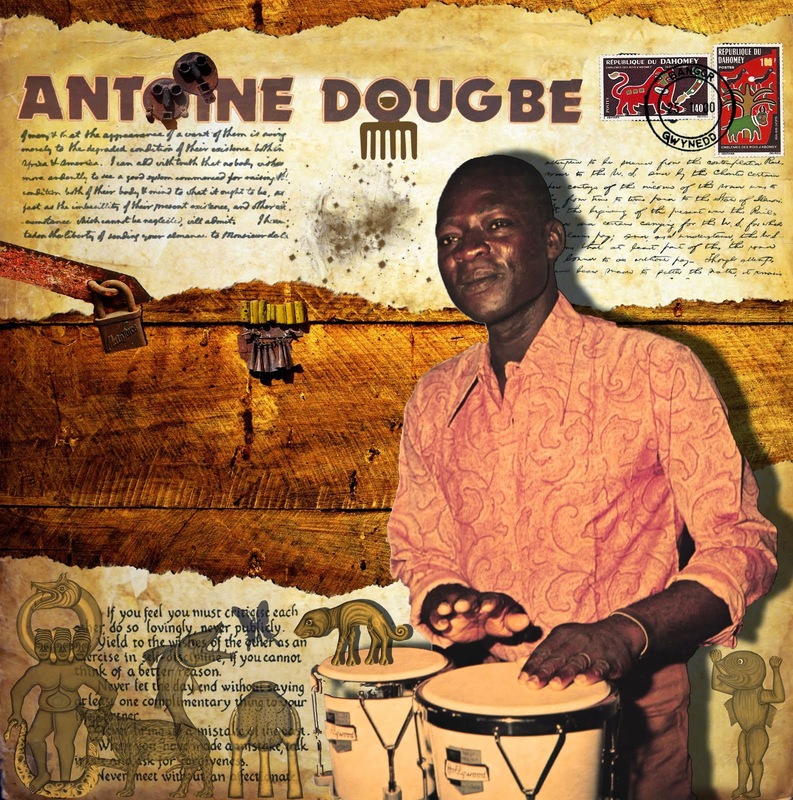 Il débute sa carrière durant la fin des années 70s et enregistre plusieurs 45T de musique Afro-Cubaine chantés en Espagnol. En 1975, il part au Bénin, pour trois jours, où il doit jouer dans le club Appolo, un club mythique en Afrique de l'Ouest. 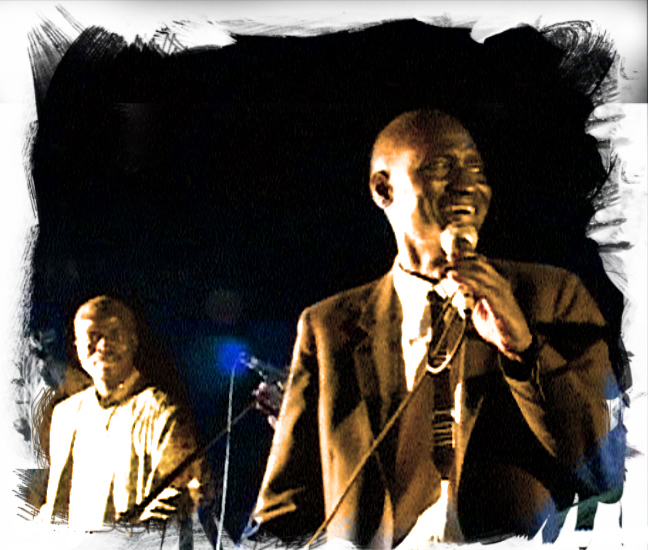 Il restera trois ans, avec l'orchestre de Danialou Sagbohan, le Djiki Band, et enregistera plusieurs titres. Puis il quitte le Bénin pour le Mexique ou il restera 10 ans comme salsero dans un orchestre du Club Med. 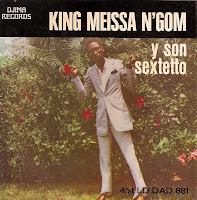 Because of his father who did not want him to become a musician, King N'Gom went to Ivory Coast where he recorded his first tracks in 1970 on Djima Records label. 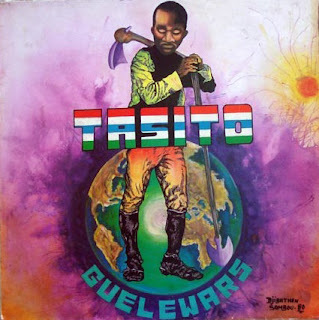 On the first record, he sings the inevitable "Guantanamera" and the title "Fatema", a guaguanco that I really like. 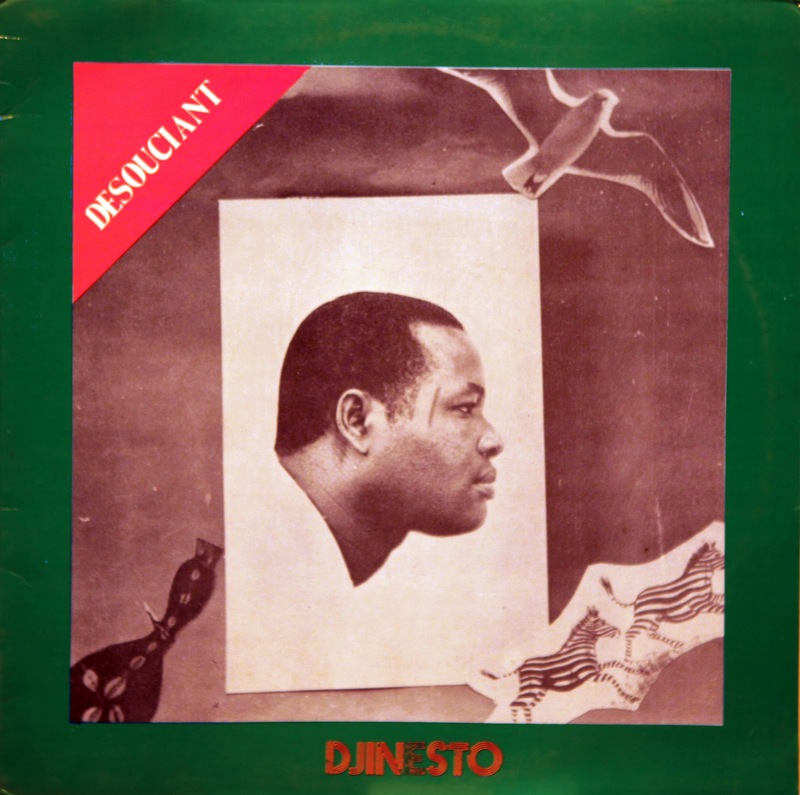 On the second Djima record, he sings a son ("Param Pam Pam") and guaracha ("M'Bakham Diop") with still a hard understanding spanish. But his voice and particulary the flute make us forget the language. 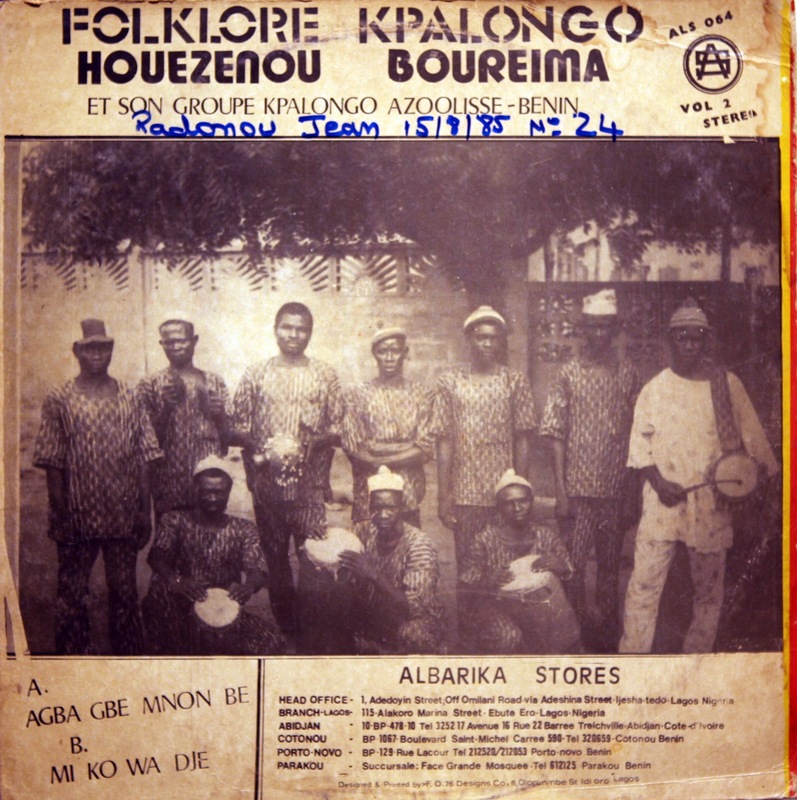 This third EP posted by Worldservice blog was recorded in 1976 in Cotonou with the orchestra Les Perles Noires ("the black pearls"). I really like this one and put the link from Worldservice. 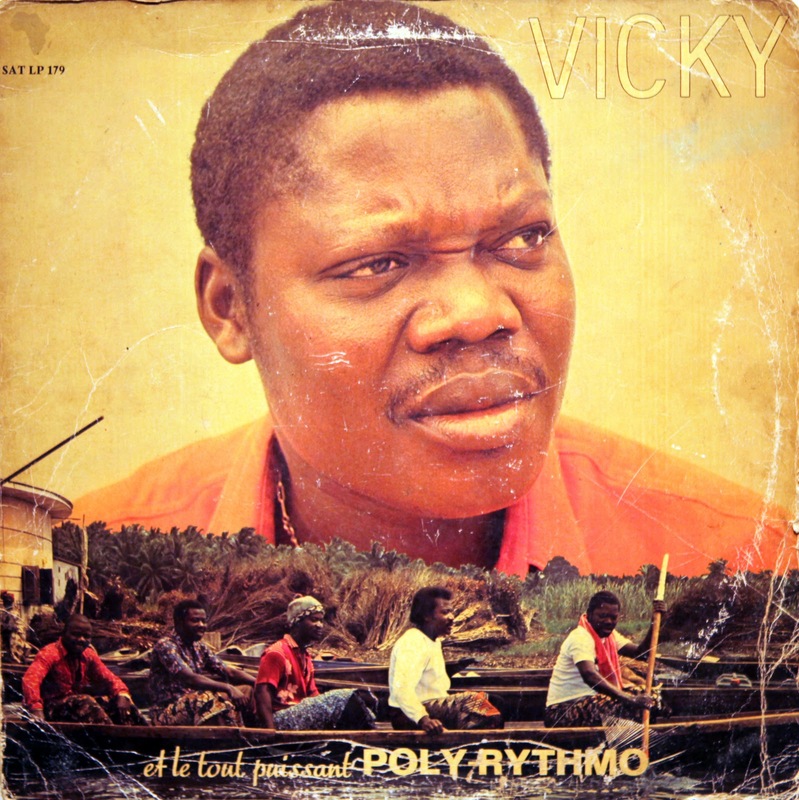 Here is an album quite difficult to find composed by Joseph "Vicky" Amenoudji, one of the four singers of Poly-Rythmo (who sings in Mina, language from the ouest region of Benin) and also percussionist. This album was released in 1978 on Satel label. 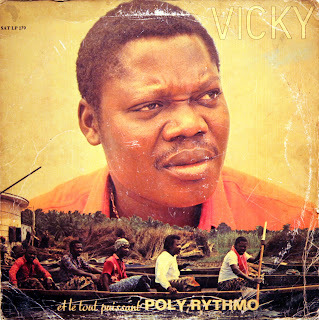 Voici un album plutôt rare composé par Joseph "Vicky" Aménoudji, l'un des quatre chanteurs de Poly-Rythmo (qui chante en Mina, langue de la région ouest du Bénin) mais aussi percussioniste. Cet album a été enregistré en 1978 sur le label Satel. Once again, i have no informations about Isaac Dossou, aka Doslak, author and singer from Benin who made himself known with Poly-Rythmo. But we all know Chief Ebenezer Obey and His International Brothers band, formed in 1964. 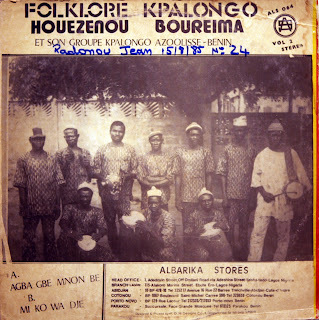 This EP from Decca label, recorded in 1971, reveals the close ties between Benin and Nigeria for ages. The language of Benin and Nigerian music are obviously feeting together. The two highlife tunes treat of the politic aspirations from this period: "Liberation" and "Fraternité". Une fois de plus, je n'ai pas d'informations sur Isaac Dossou, auteur et chanteur Béninois qui a notamment enregistré avec l'orchestre Poly-Rythmo. 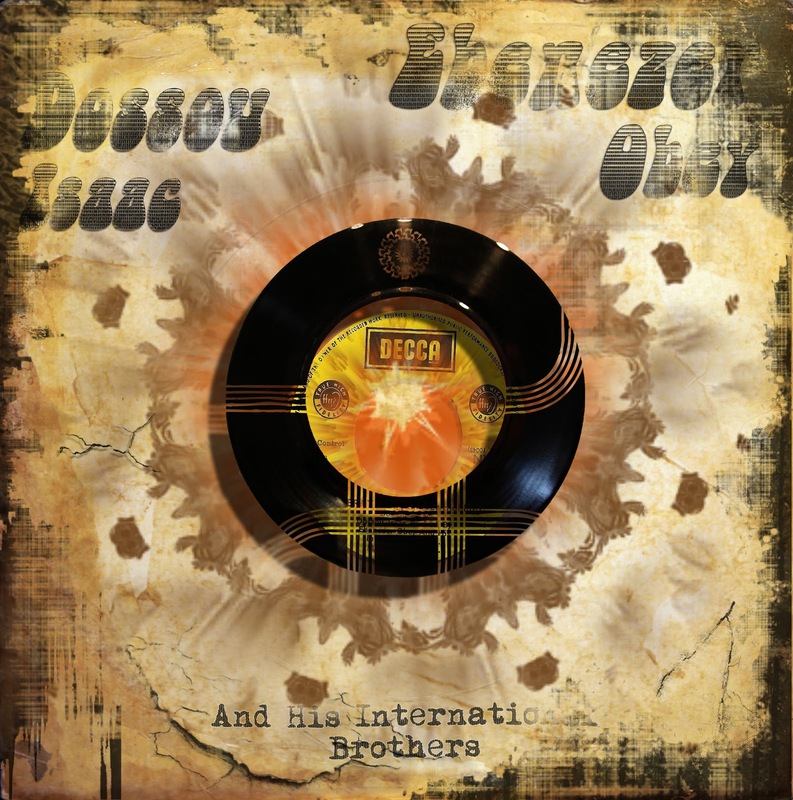 Par contre, nous connaissons tous Chief Ebenezer Obey et ses International Brothers, orchestre formé en 1964. Ce 45 Tours du label Decca, enregistré en 1971, révèle les liens étroits qui unissent le Bénin et le Nigeria depuis une éternité. La langue du Bénin et la musique Nigeriane ne font qu'un, une évidence. Les deux titres highlife trêtents des aspirations politique de cette époque: "Liberation" et "Fraternité". Dolf Motz from Makossa Original blog speculated the this album would be from Stephen Osadebe's son: Obiajulum Osadebe. 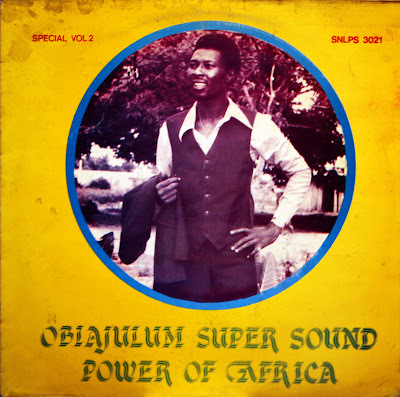 Music truely sounds like Osadebe's but I am not sure because Obiajulum was born in 1966 and this record has probably been released in the late 70s. A little young, so, for this second volume. 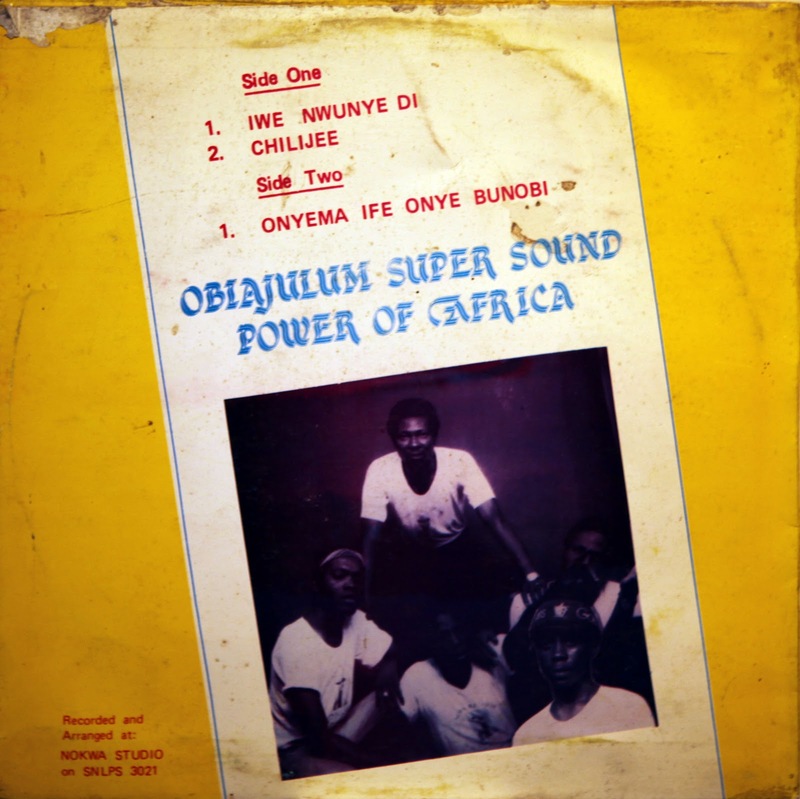 Also, the discography of Obiajulum Osadebe began in 1990. The enigma persists so if you have some informations, please let us know. Dolf Motz du blog Makossa Original a émis l'hypothèse que l'album serait celui du fils de Stephen Osadebe: Obiajulum Osadebe. Effectivement la musique fait veritablement penser à celle du "docteur" Osadebe. Mais, je ne suis pas sûr car Obiajulum est né en 1966 et cet album a vraisemblablement être enregistré vers la fin des années 70s, un peu jeune, donc, pour ce deuxième volume. 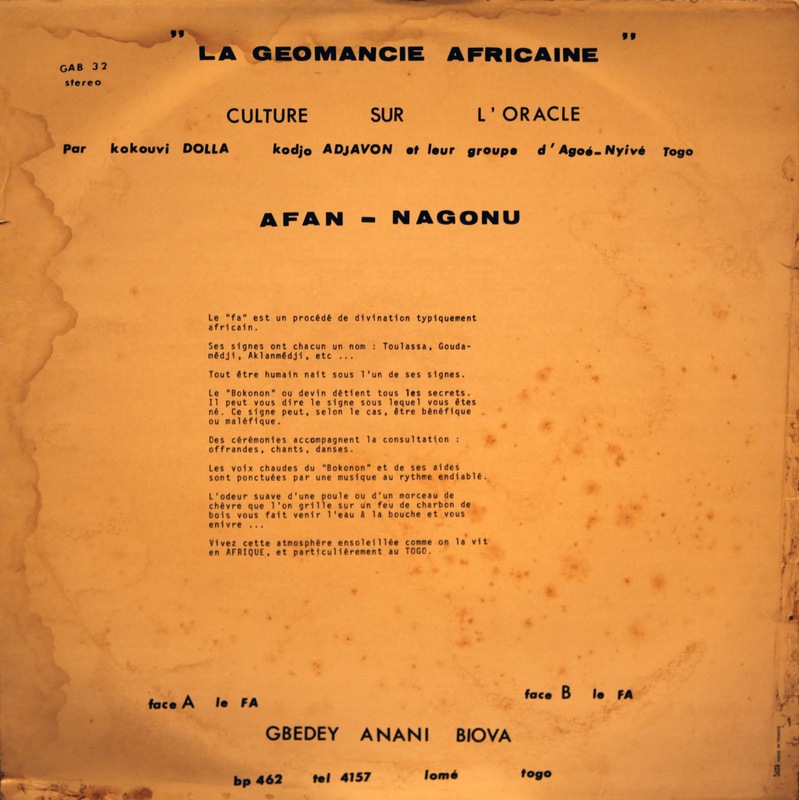 Par ailleurs la discographie d'Obiajulum Osadebe commençerait en 1990. L'enigme persisite... Si vous avez des informations, faite le savoir.